Chinese Premier Li Keqiang has said Beijing would back more regional economic integration as it is in the common interests of all Asian countries. 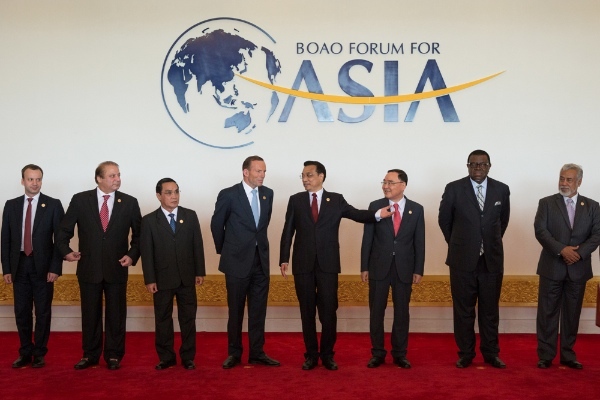 Asian nations should work together to promote trade liberalization and facilitation of trade and to upgrade regional and sub-regional cooperation, Keqiang told the opening ceremony of the 2014 annual conference of the Boao Forum for Asia on Thursday. Beijing will work with ASEAN nations and neighbours like India to accelerate negotiations on the China-backed trade deal, Regional Comprehensive Economic Partnership (RCEP). He said Asian nations will endeavor to reach an agreement on the RCEP by 2015. China also has an open attitude to the US-proposed Trans-Pacific Partnership (TPP) trade agreement, Li said on Thursday. “As long as the TPP is conducive to the development of global trade and the fostering of an equitable and open trading environment, China is happy to see its conclusion,” Li said in a keynote speech. The TPP talks were initiated by Singapore, New Zealand, Chile and Brunei in 2005, but have become dominated by the US after it joined the talks in 2008. The RCEP would include all 10 ASEAN member states and the six FTA partners, namely China, Japan, South Korea, India, New Zealand and Australia, at the initial stage. The RCEP grouping covers about 3.3 billion people and accounts for 30 per cent of world trade. When it’s in place, it will be the largest free trade pact in the world. I believe the Asian countries will do better with China/Russia than pact with the West as a priority due to the recklessness and irresponsibility they have been displaying and implementing. Remember the Fed’s comments last year about QE? You are on your own people in Asia. Basically we don’t give a rats rear even though we are the so called sole superpower. Talk about irresponsibility. Asian nations need to get out of the Stockholm syndrome and look to the future. A prosperous and non tyrannical future.